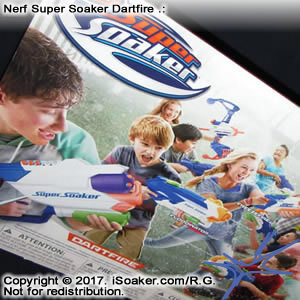 The Nerf Super Soaker DartFire is a combination dart blaster and water blaster released by Hasbro Inc. for 2017. 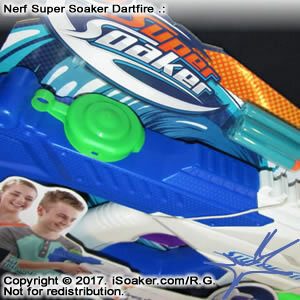 It also appears to be the largest of the new models for the Nerf Super Soaker brand for this year. 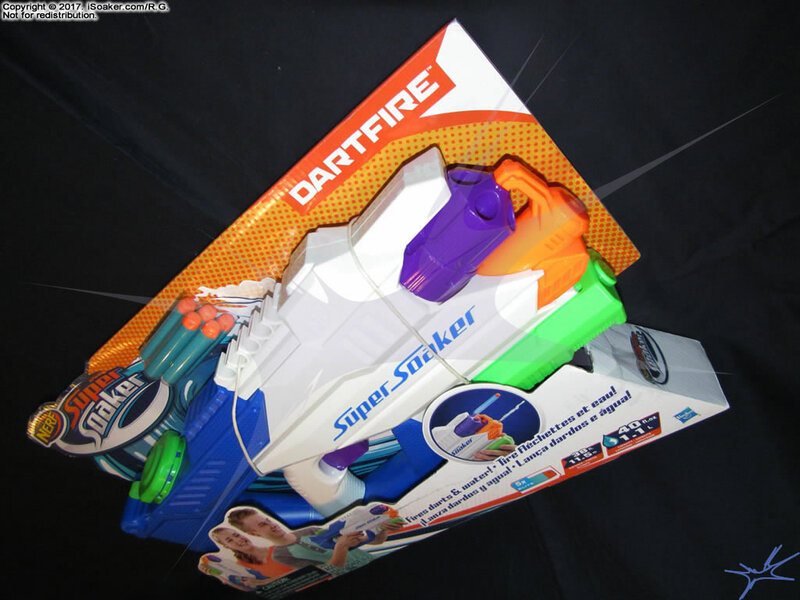 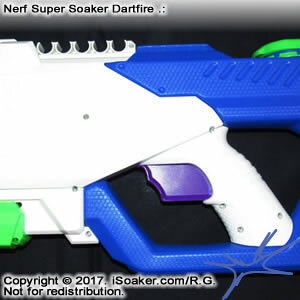 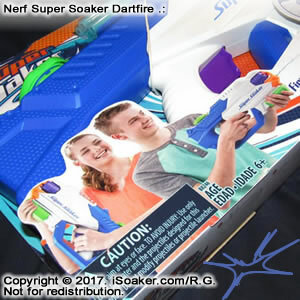 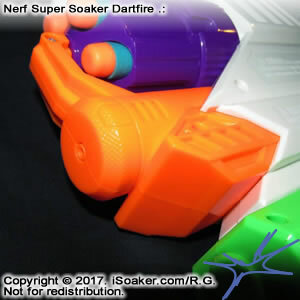 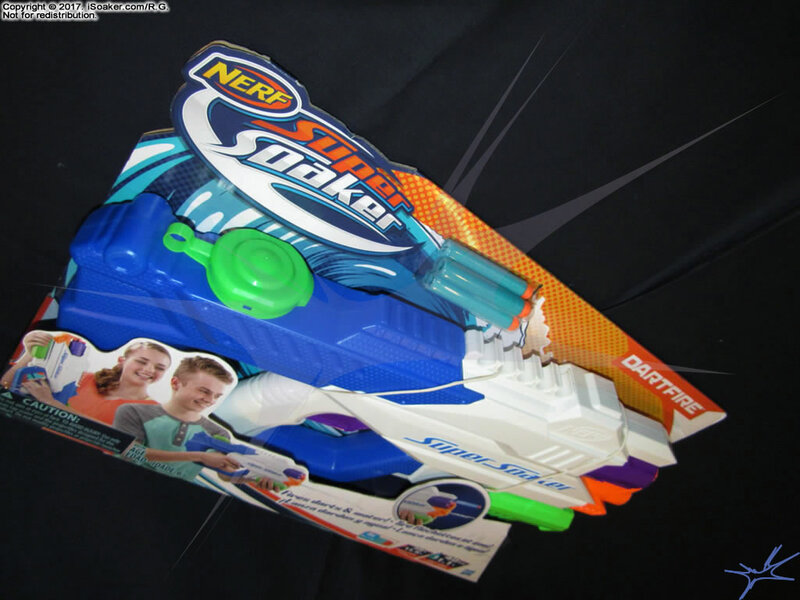 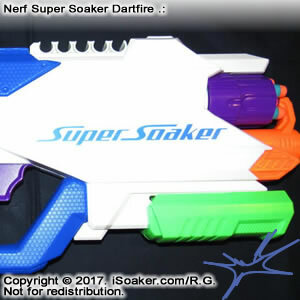 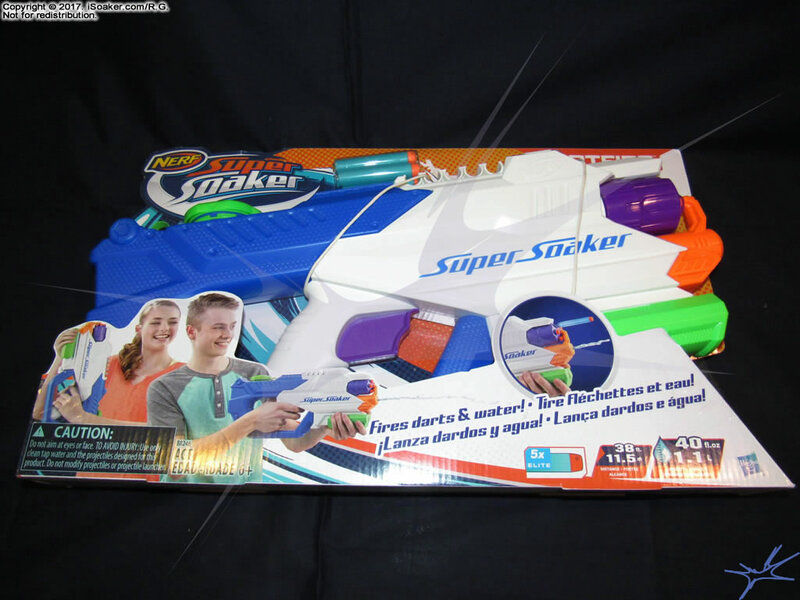 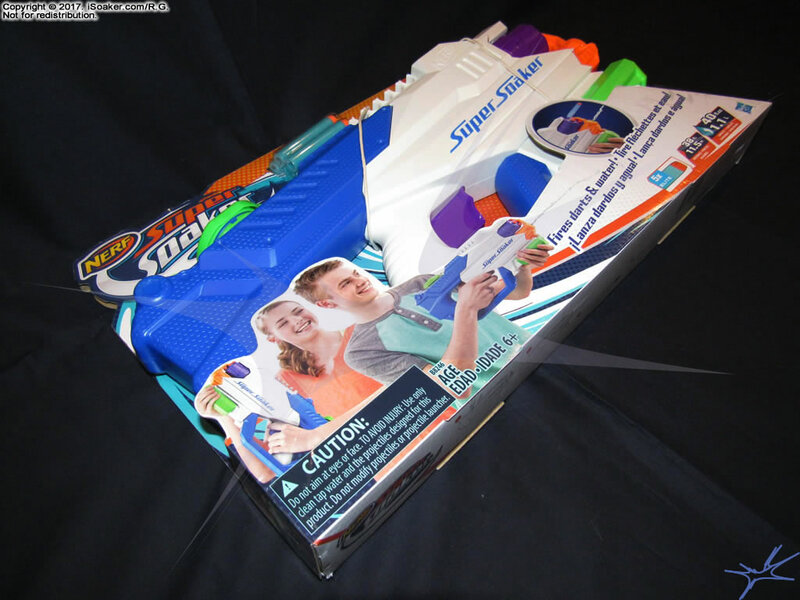 Reminiscent of the older Nerf Switchshots series of blasters, the Nerf Super Soaker Dartfire tries to span the dart fight and water fight worlds. 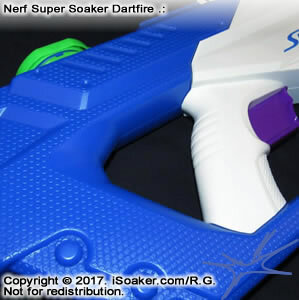 *** Note: Range testing still needs to be completed, but range results will unlikely change my opinion on this blaster. 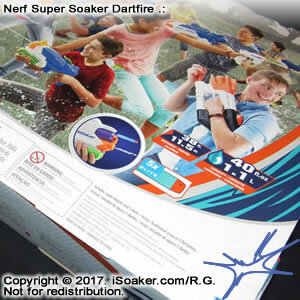 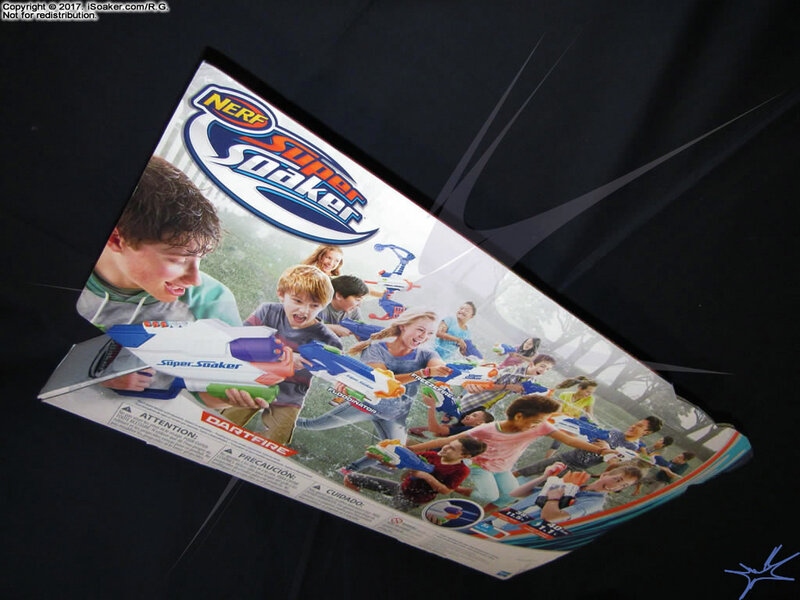 The Nerf Super Soaker Dartfire comes in an open-front cardboard box and is held in place with paper-based string-like ties. 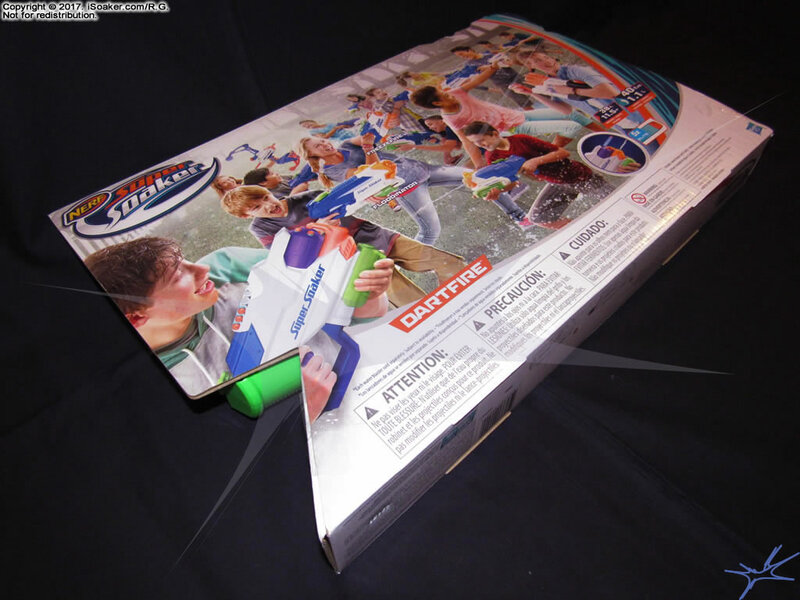 To make the box slightly more interesting, the backside panel is not completely rectangular with a triangular cut out present that allows the pump grip to be accessed somewhat while the blaster is still within the box. 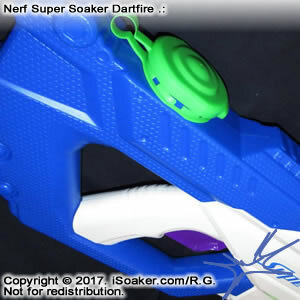 While most of the Dartfire is visible, the backside and lower portions of the reservoir are obscured by the "lifestyle" images. 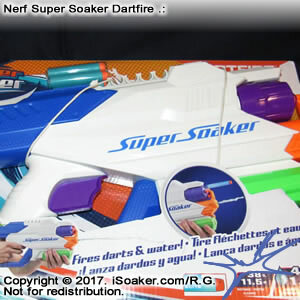 The large purple trigger is rather self-evident as is the inclusion of five (5) darts near the top of the package. 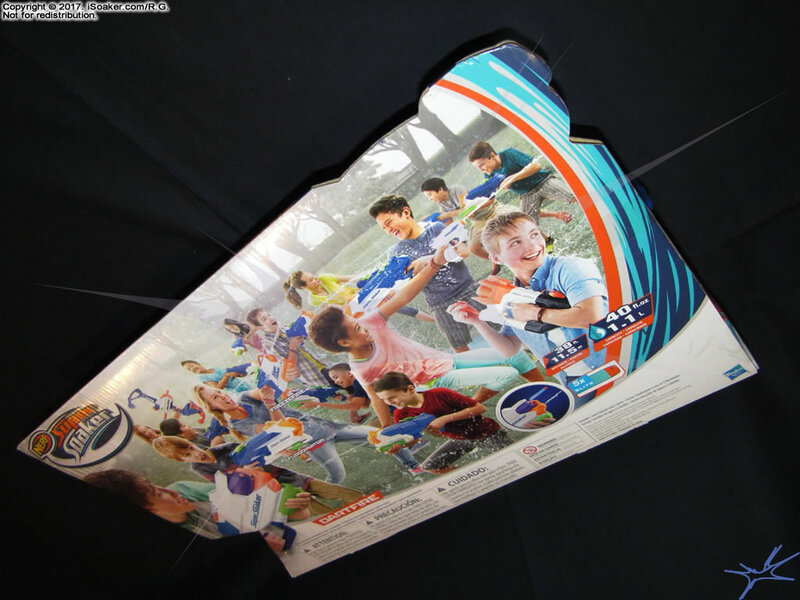 The rear panel of the box is an interesting departure on previous packages. 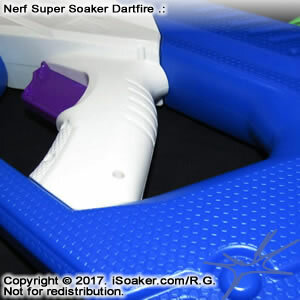 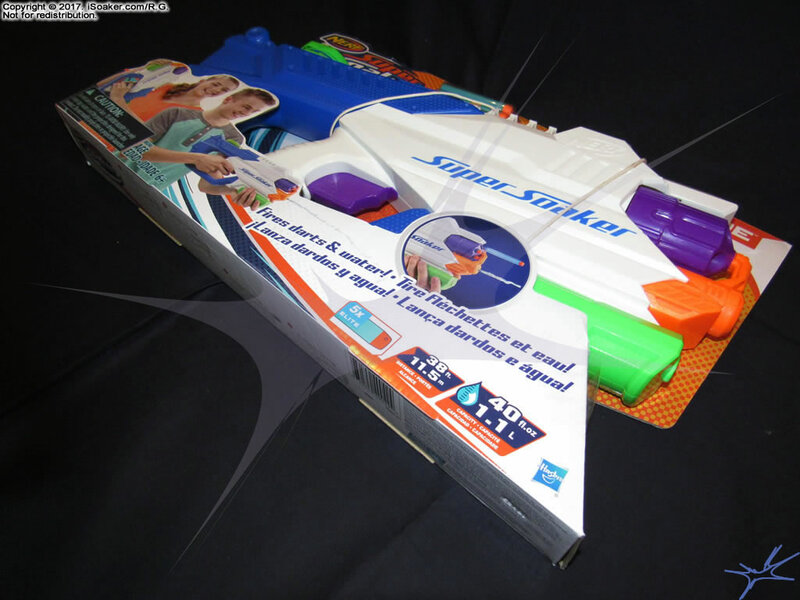 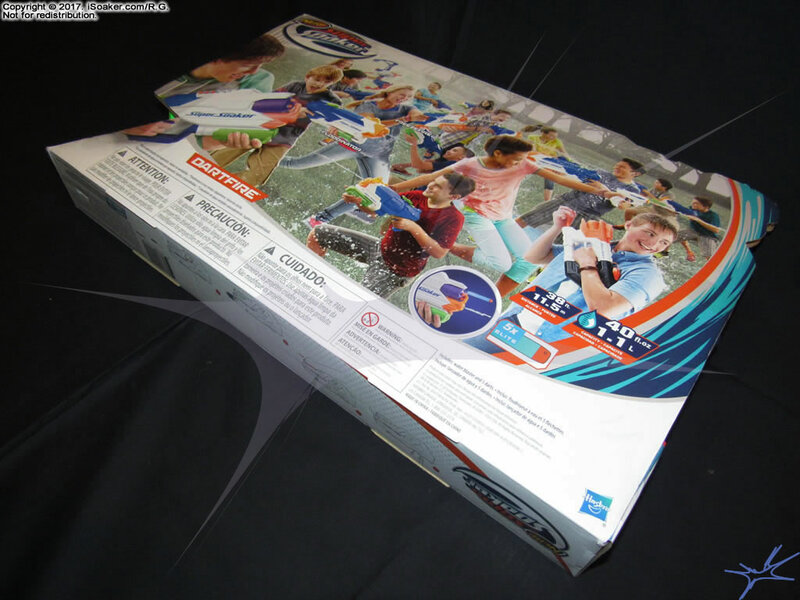 Instead of showcasing the boxes item alone, a water warfare battle scene is shown with various Nerf Super Soaker models named. 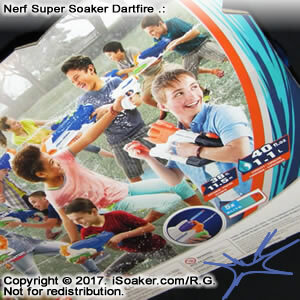 Granted, the image appears to be rather composed as few of the participants appear to be actually looking at their opponents, there seems to be some lighting inconsistencies, and the size and clarity of some images just do not add up. 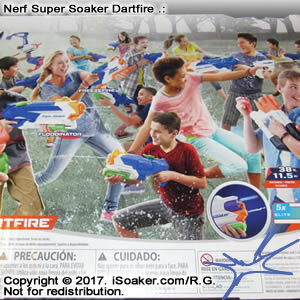 Nevertheless, it is nice to see a water fight being depicted. 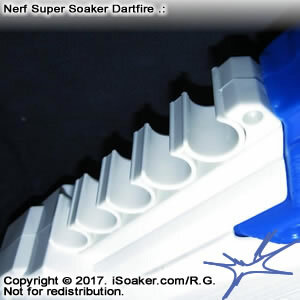 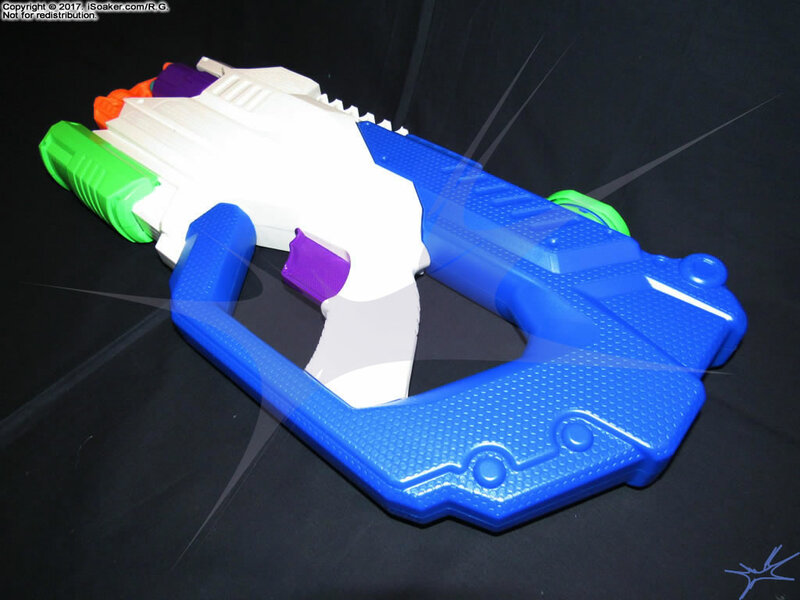 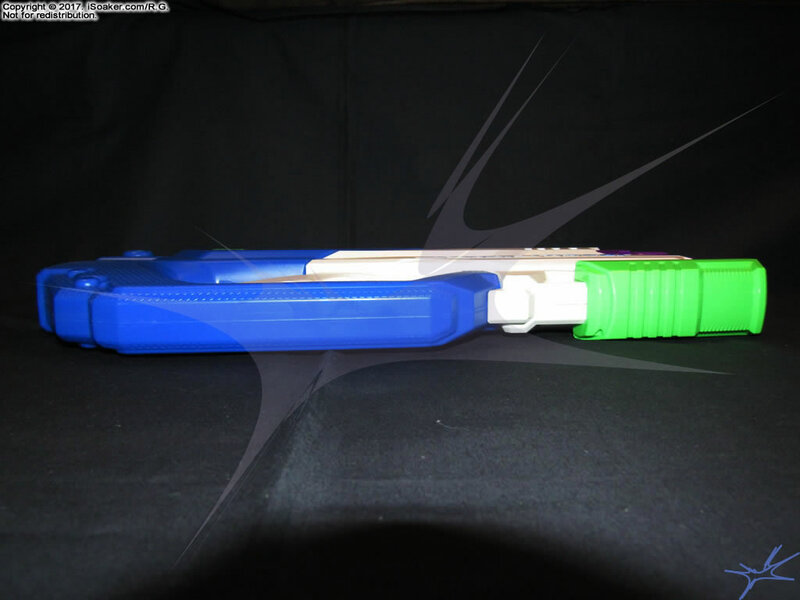 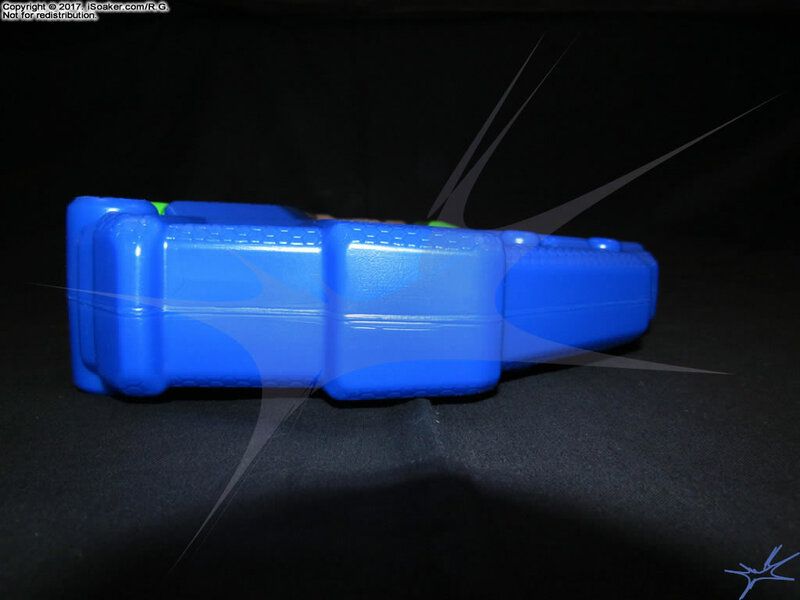 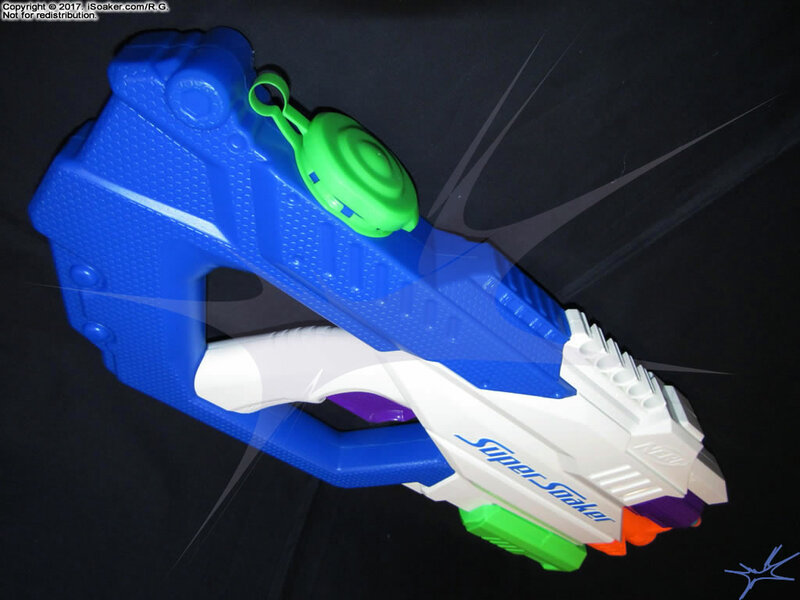 The Nerf Super Soaker Dartfire continues Hasbro's use of blue-and-white styling for the main Nerf Super Soaker line of water blasters. 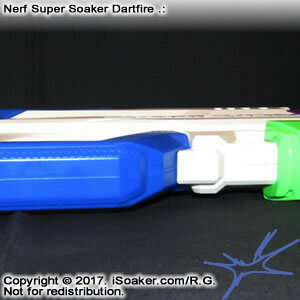 One interesting thing to note is how the reservoir seems to wrap and cut through the body of the Dartfire, being both on top of and below the trigger/grip region. 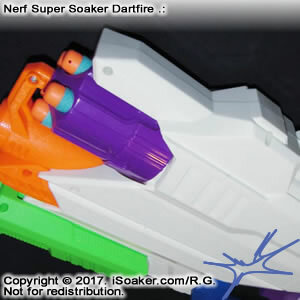 The purple trigger is notably oversized and even has indents suggesting it is meant to be pulled by two fingers (the reason for this will be evident later). 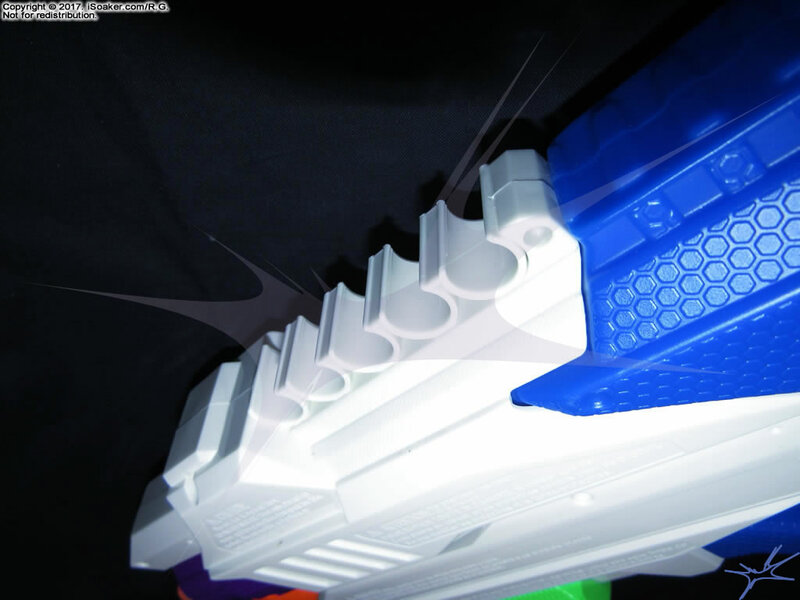 Hasbro also continues to use a nice mix of texture and smooth surfaces to make different angles of this blaster look interesting. 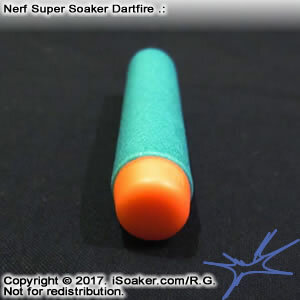 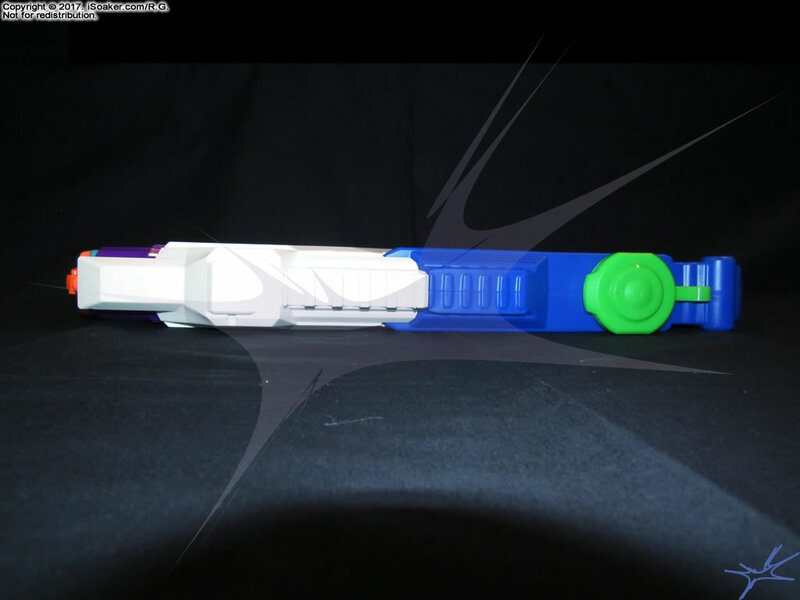 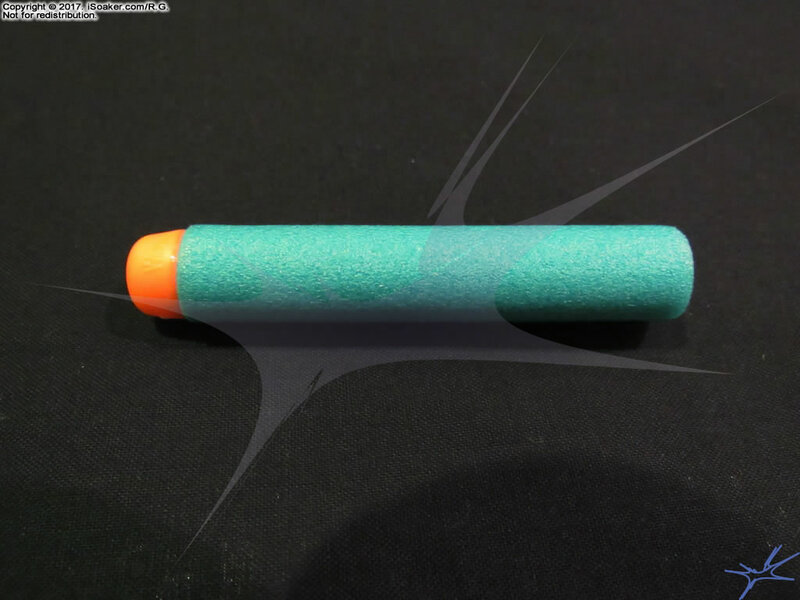 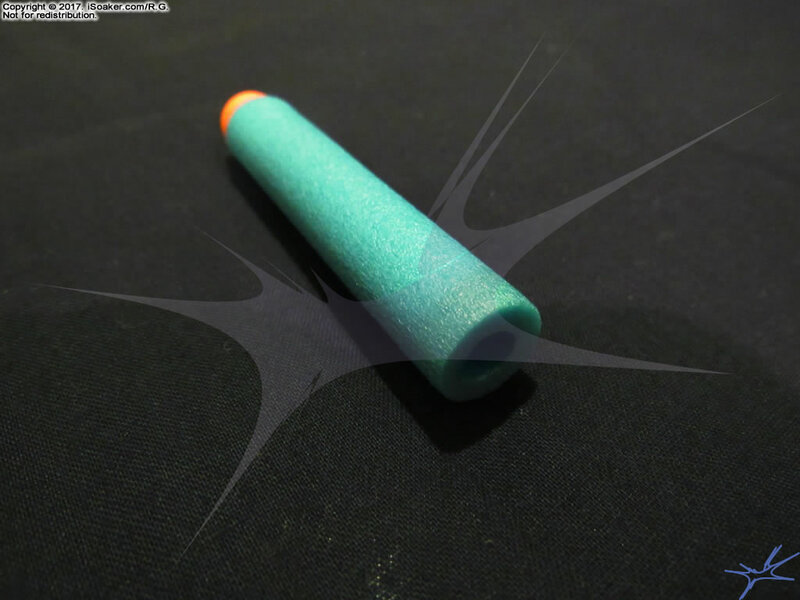 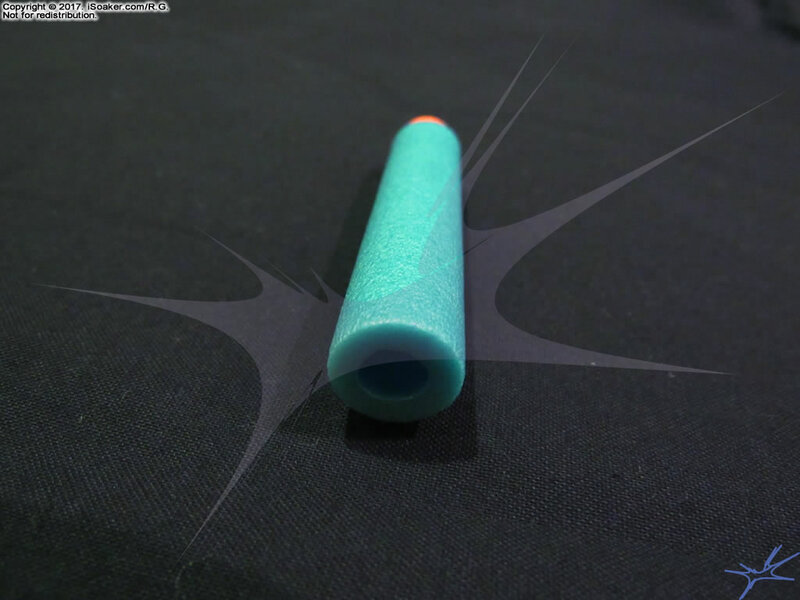 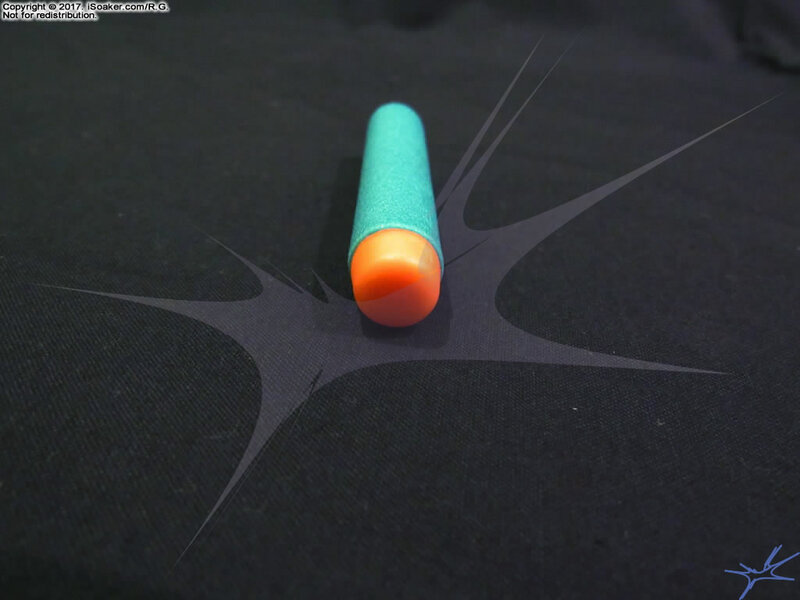 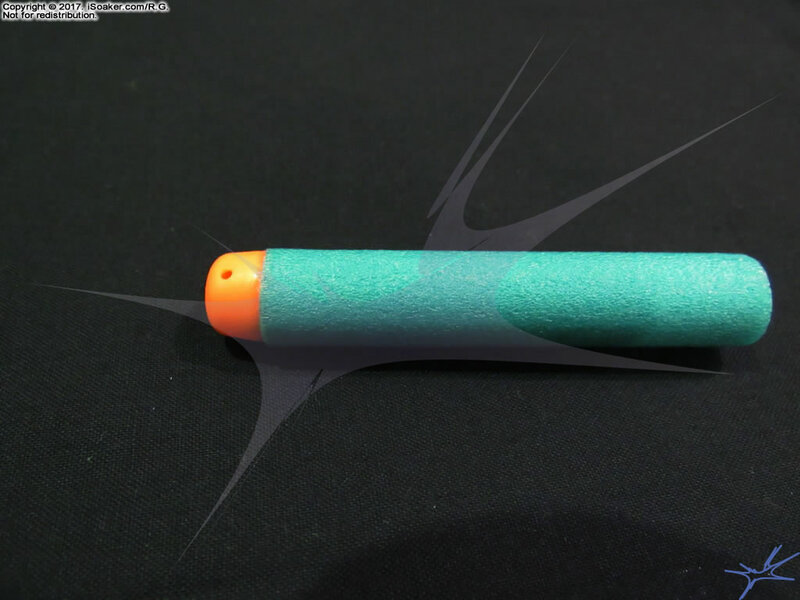 Even the foam darts that come with the Dartfire are aqua-coloured to differentiate it from the darts that come with other Nerf gun models. 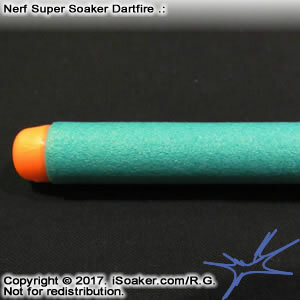 Not surprisingly, the Nerf Super Soaker Dartfire is well built. 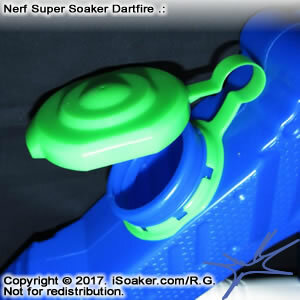 Made of good quality plastic, the Dartfire feels solid and comfortable to hold. 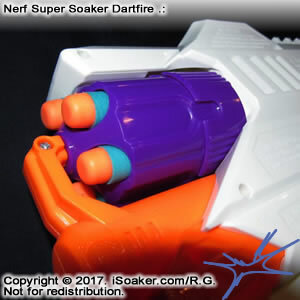 The trigger/grip area has a good size, though the fact that the reservoir extends below it may mean that some with particularly large hands may find this space slightly cramped. 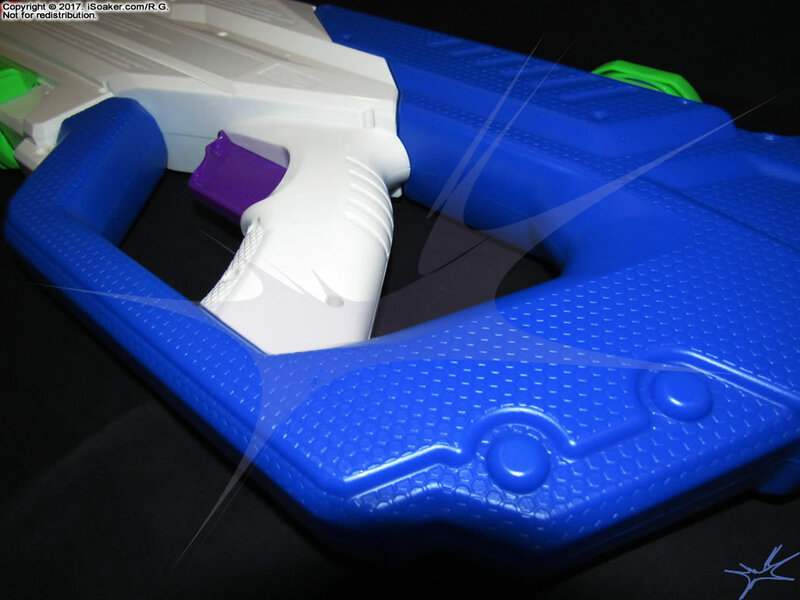 The pump for the water blasting function moves smoothly. 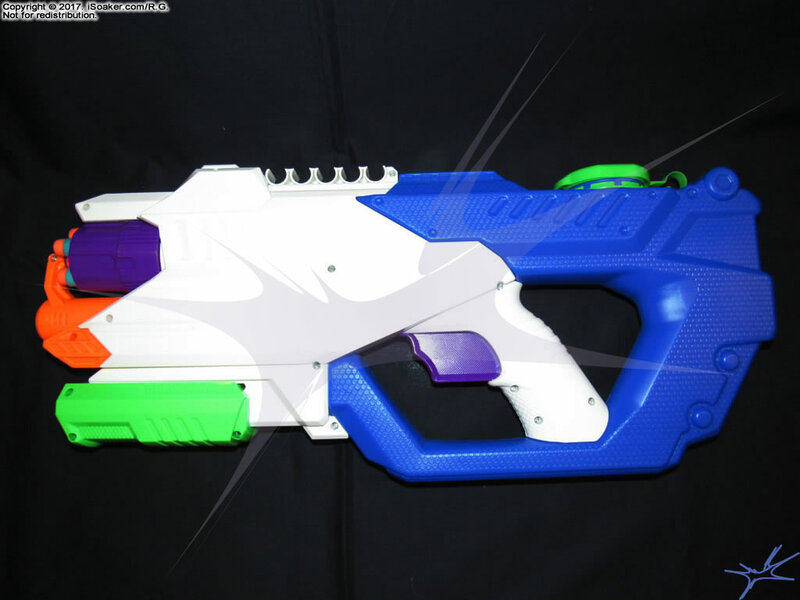 The large purple trigger, on the other hand, does require more force to pull than a typically dart blaster's trigger. 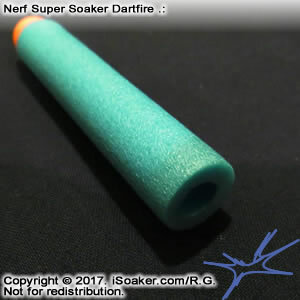 This is due to the fact that this trigger performs two functions: the first being to launch a foam dart and the second being to rotate the 5-dart barrel into its next position. 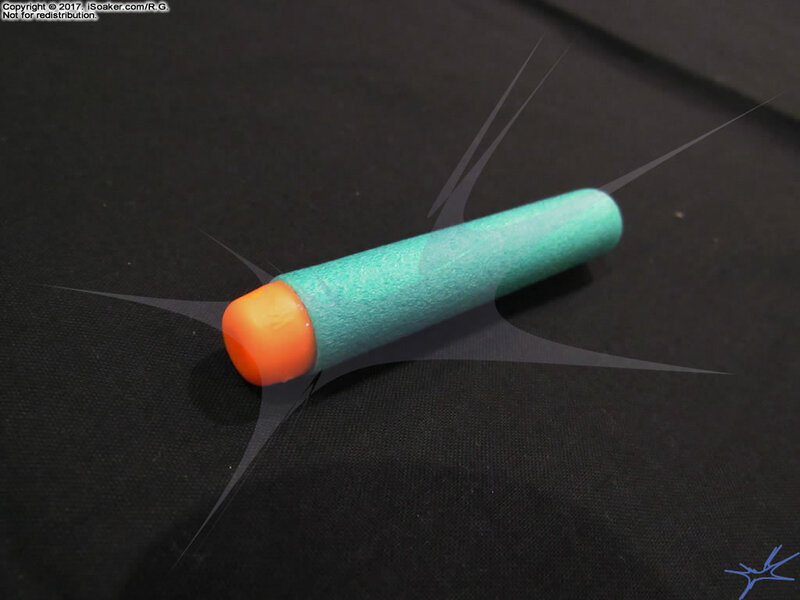 By doing so, one can fire all five (5) loaded foam darts single-handedly if one wanted. 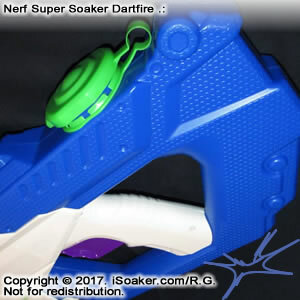 The Dartfire also include a series of clips on its top that can be used to store additional darts (or perhaps used to store the darts the Dartfire comes with if one does not plan to use that feature). 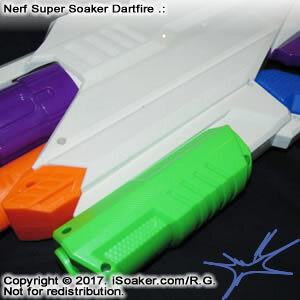 The more rear-positioning of the reservoir does make the back of the Dartfire feels slightly heavier than the front when fully loaded, but many may not notice or mind. 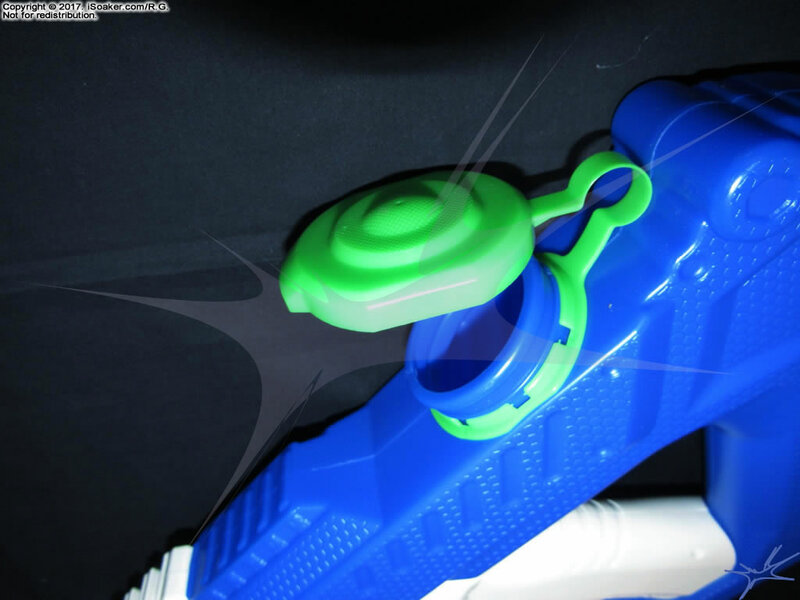 One shortcoming is the choice to cap the reservoir with a snap-cap as opposed to a threaded cap. 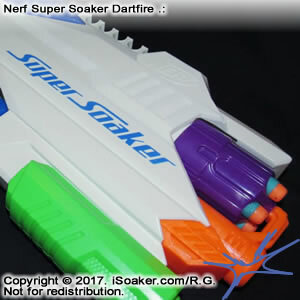 While some will argue that snap-caps are easier to pull off and click back on, the small hole on its top can leak when the Dartfire is held at various angles. 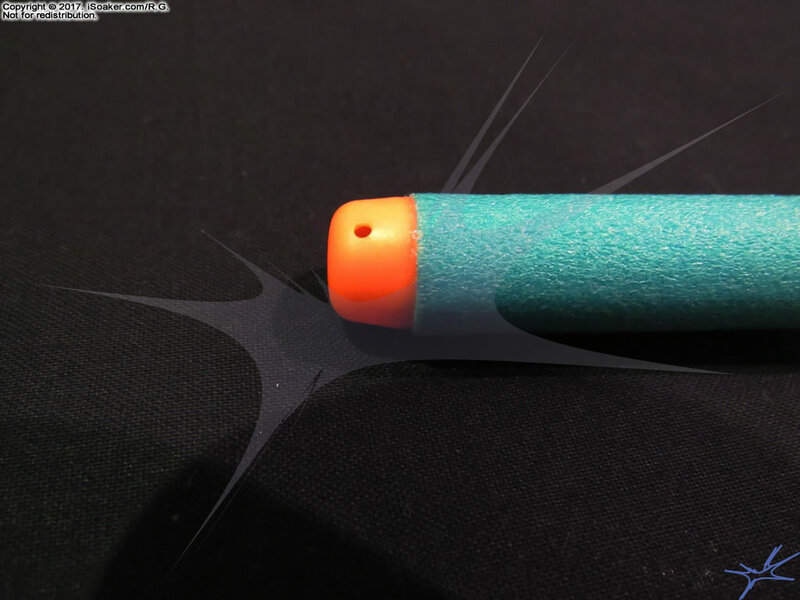 As well, how long this cap will seal well is likely less than that of a threaded cap. 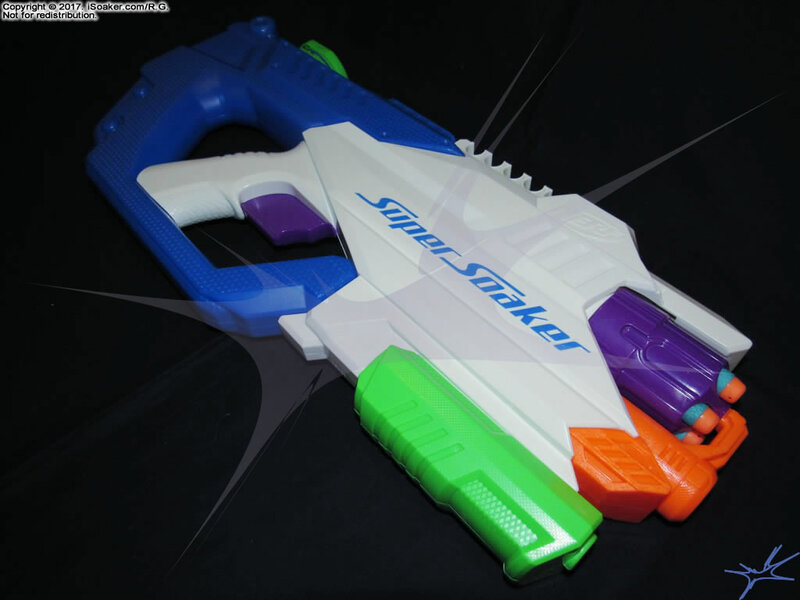 Being a dual-purpose blaster, it feels as if some of its performance was sacrified for the sake of simplifying use. 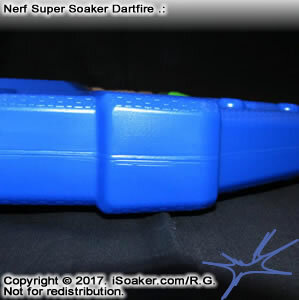 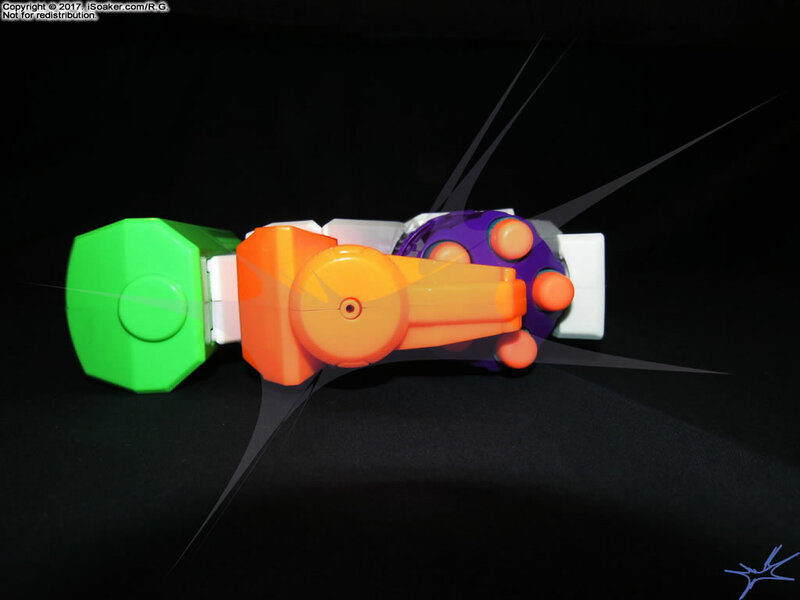 Unlike the older Nerf Switchshots series of blasters, the Nerf Super Soaker Dartfire can shoot both darts and water at the same time without needing to toggle between settings. 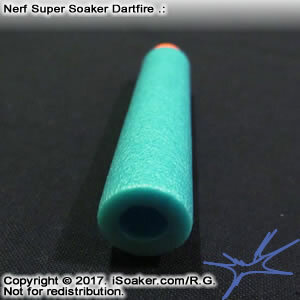 From the dart-firing perspective, since the power to propel the dart comes from pull back the trigger and that some of the force pulling the trigger is used to turn the barrel, the amount of force available for the dart is reduced. 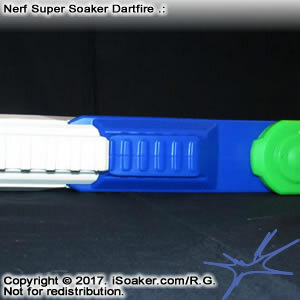 While range testing needs to be done, darts fly, but do not seem to have as much power as other, dedicated dart blasters. 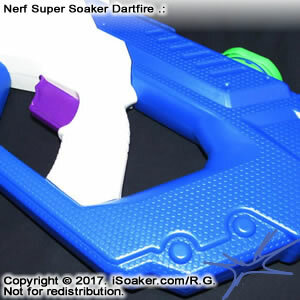 From the water-blasting perspective, the Nerf Super Soaker Dartfire operates on the higher-end of the average pump-action water blaster. 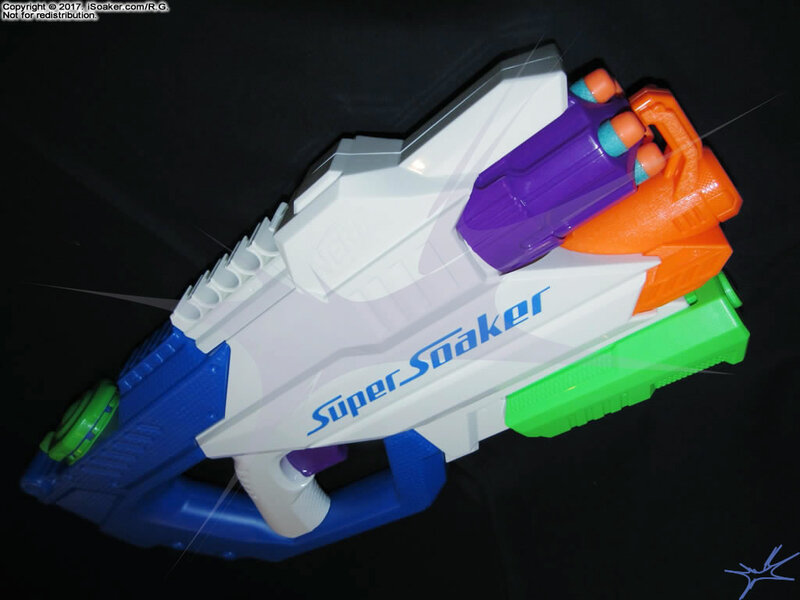 While not bad from a pump-action perspective, output and performance remains a far cry from properly pressurized water blaster models. 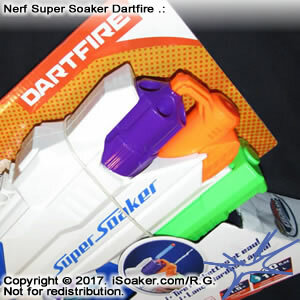 The Dartfire is a decent pump-action water blaster, but nothing more. 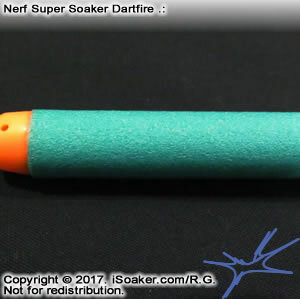 As for the ability to shoot darts, water, or both, it remains unclear to me when such a feature would be useful (Obligatory iSoak'D 071 comic strip reference). 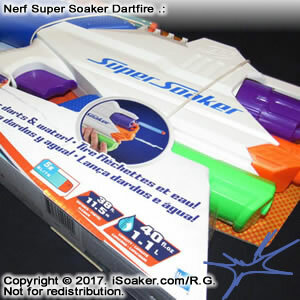 For indoor dart fights, water blasters are rarely welcome and mostly unwelcome as water tends to damage other things indoors. 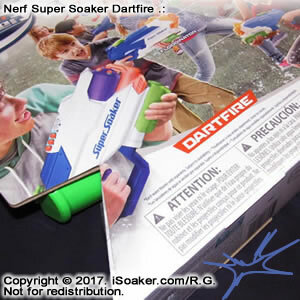 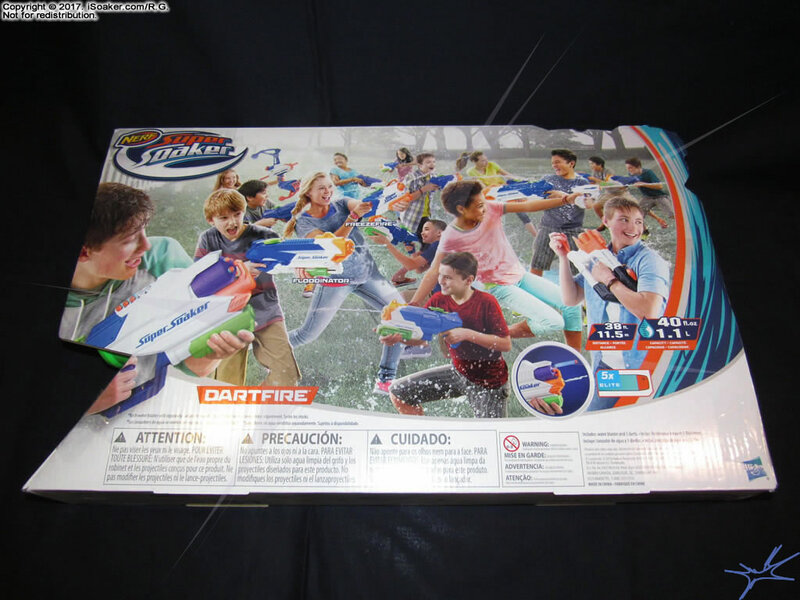 For outdoor dart fights, water blasters are still rarely welcome, not just from the dislike of dart gun users for getting wet in their fights, but also for the generally lower ranges offered by water blasters. 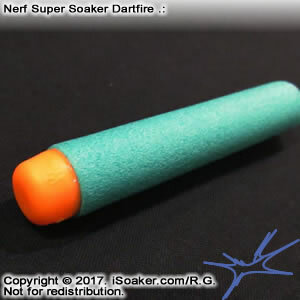 For water fights, getting hit simply by a foam dart has no real meaning and is, at best, just slightly annoying. 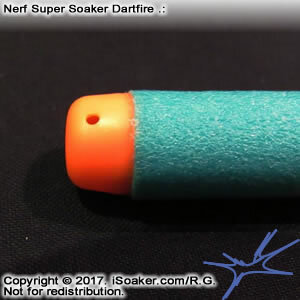 Then, the overall size of the Nerf Super Soaker Dartfire makes it large when compared to other single-purpose blasters that perform similarly to its dart firing or water firing capabilities. 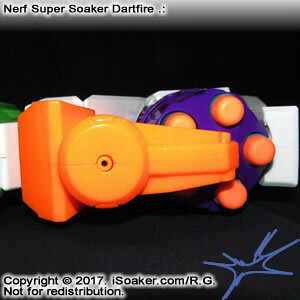 In the end, the Nerf Super Soaker Dartfire is a blaster caught between worlds, performing passably as a dart blaster and water blaster, but exceling at neither. 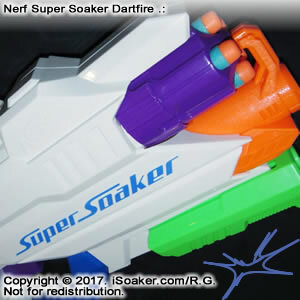 While there is nothing problematic with the Dartfire, both of its functions can be accomplished by acquiring two, separate, dedicated blasters likely for less money. 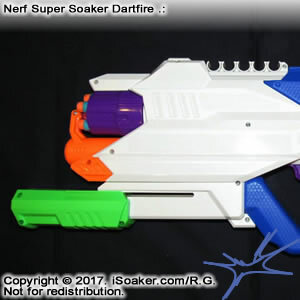 Some may like the novelty of having a blaster that does both, but it is unclear how often its dual functions will be appreciated in use. 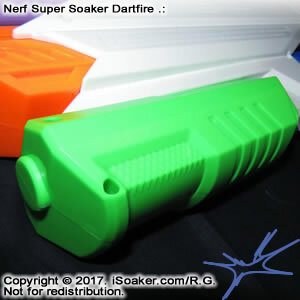 From a water warfare viewpoint, the Nerf Super Soaker Dartfire is ok for a pump-action water blaster and may be useful for casual to light engagements. 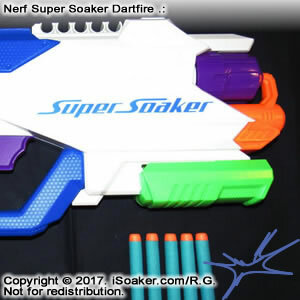 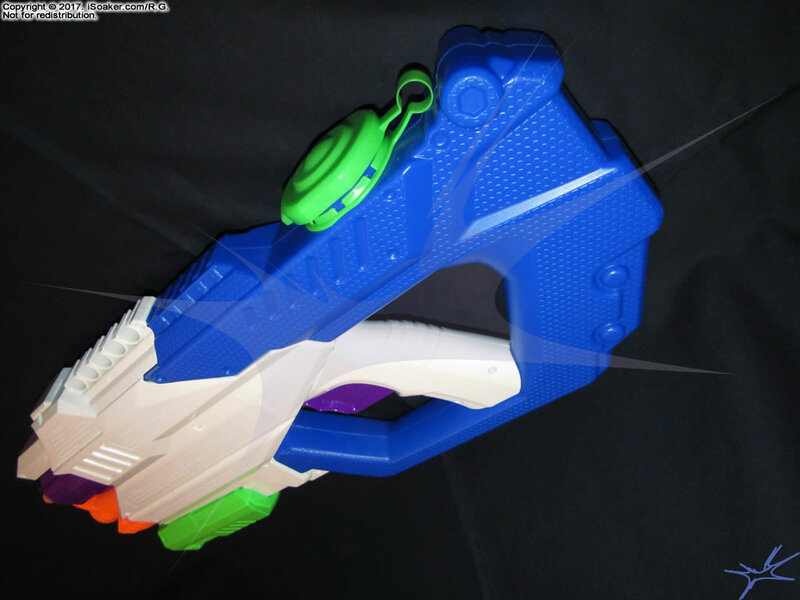 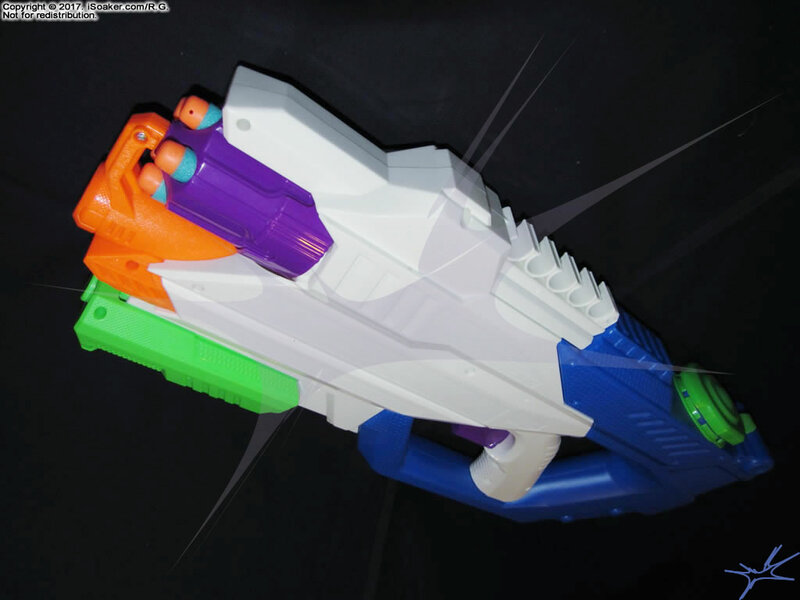 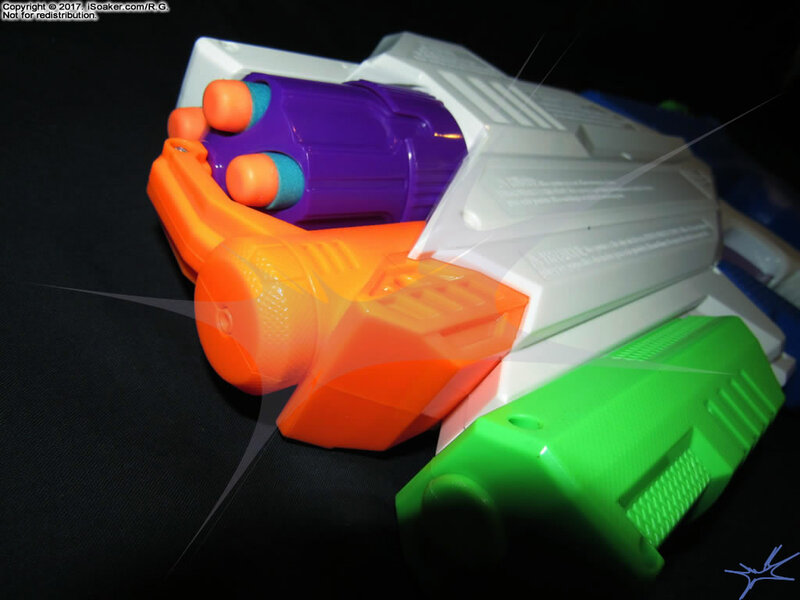 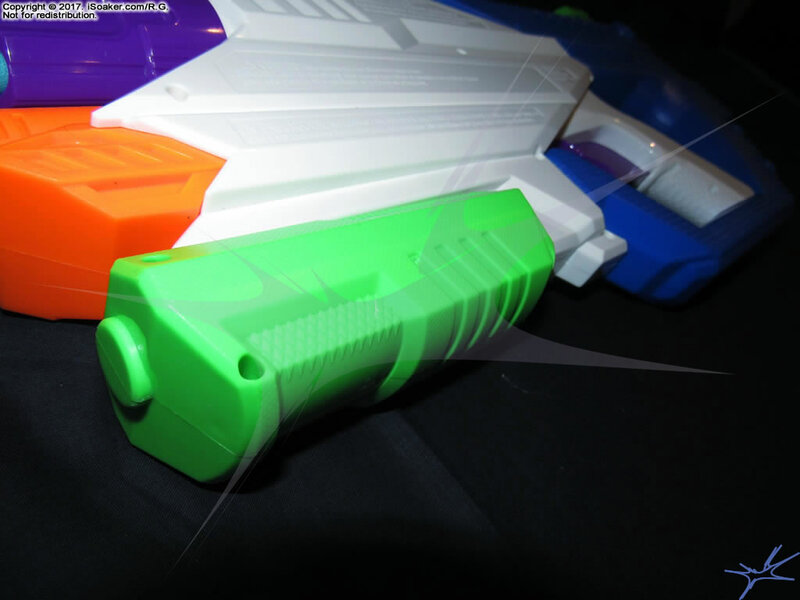 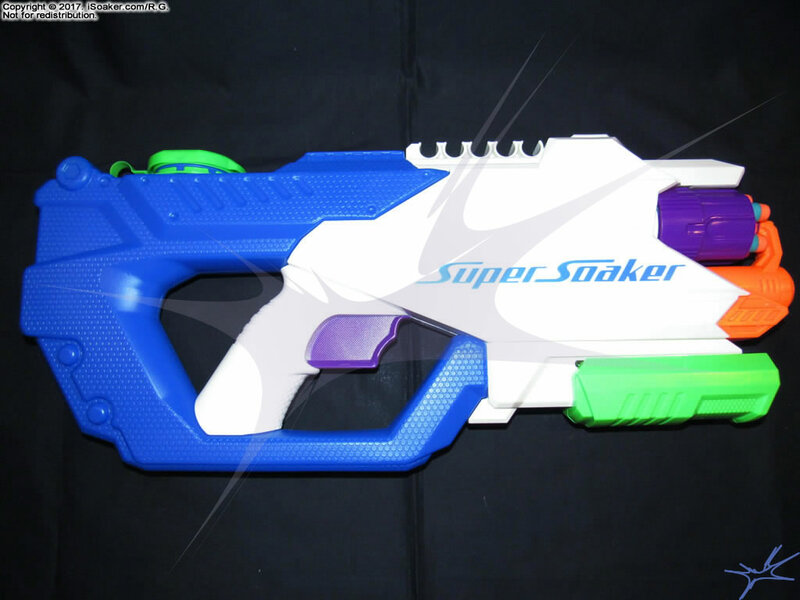 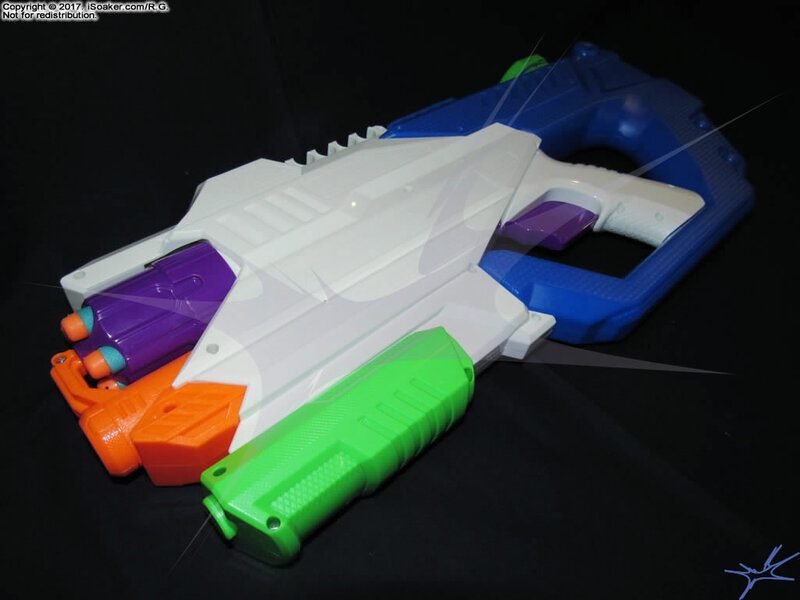 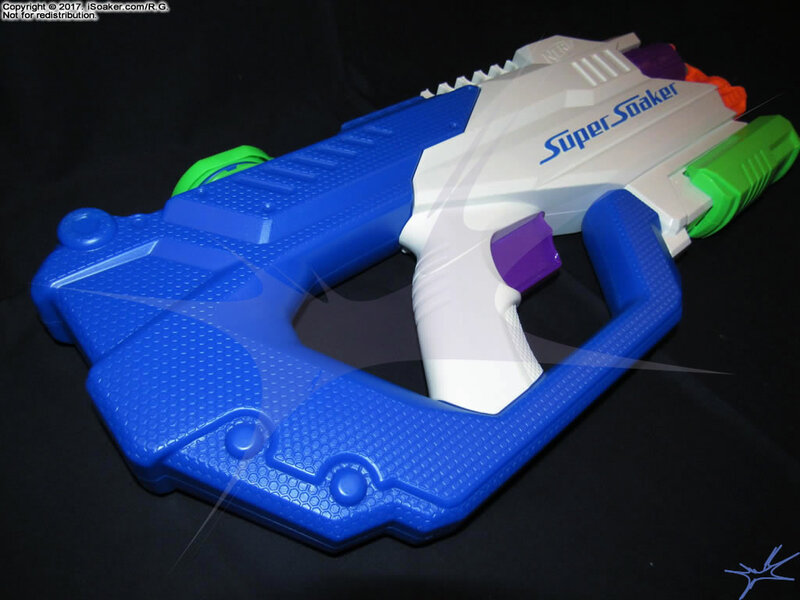 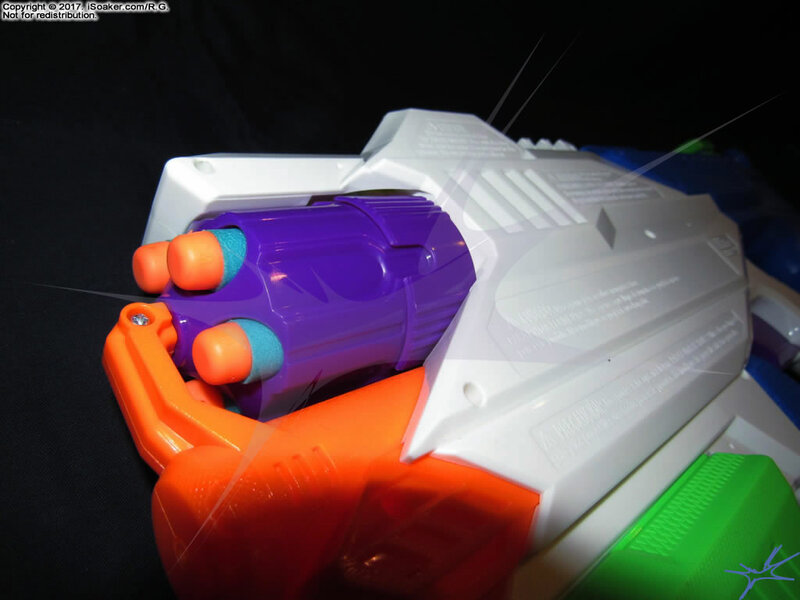 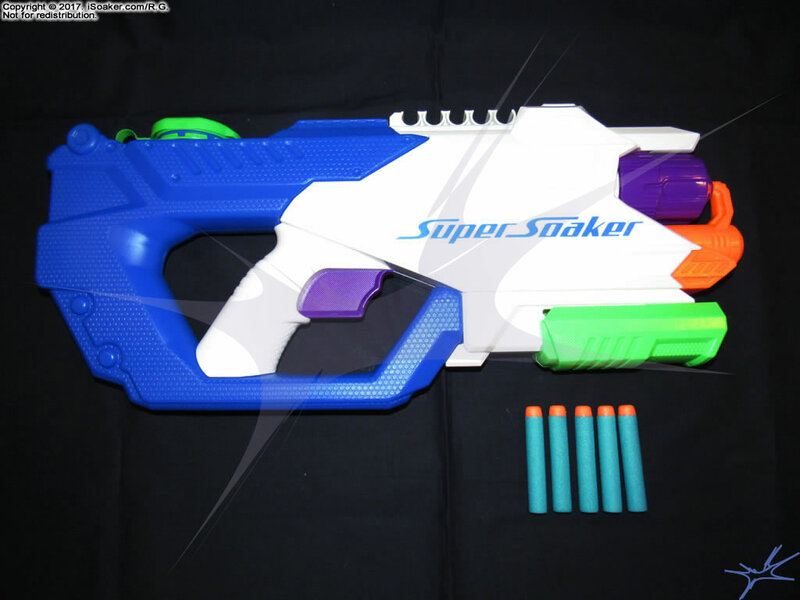 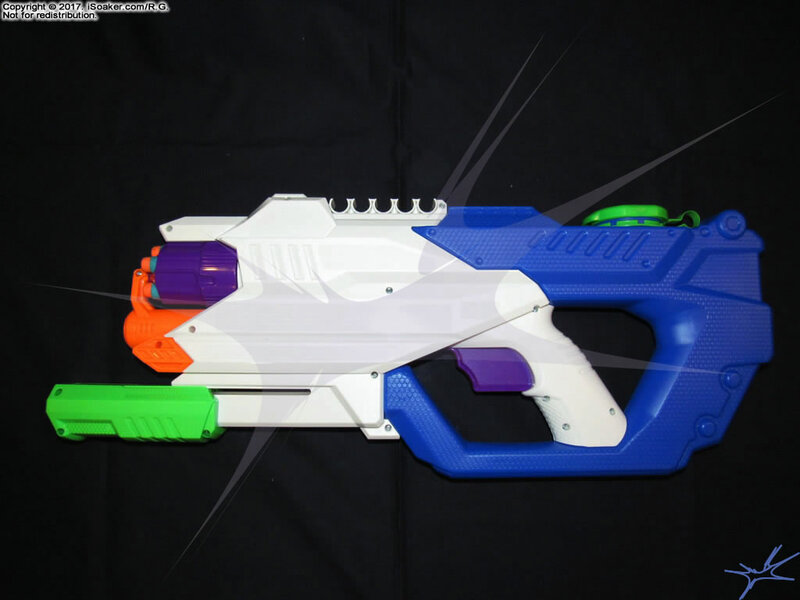 However, the Nerf Super Soaker Dartfire is readily outclassed by most pressurized water blasters out there; its dart-firing capability will offer no reprieve against a high-powered water blast.